- Affordable Automation - MOTOR + HANDSET + BATTERY = Just £60 per Blind! - Enter your sizes, customise your blind, Buy Online! - Full specification and videos - scroll down! - Affordable Automation - MOTOR + HANDSET + BATTERY = Just £84 per Blind! Roller blinds can either be installed with standard fixing brackets, positioned at each end of the roller tube, meaning that the roller tube and fabric is exposed. Or you can select an open cassette - this partially covers the roller tube. Open Cassette: Open cassettes are often selected where blinds are being installed within a recess. They provide a stylish finishing touch to the head of the blind. 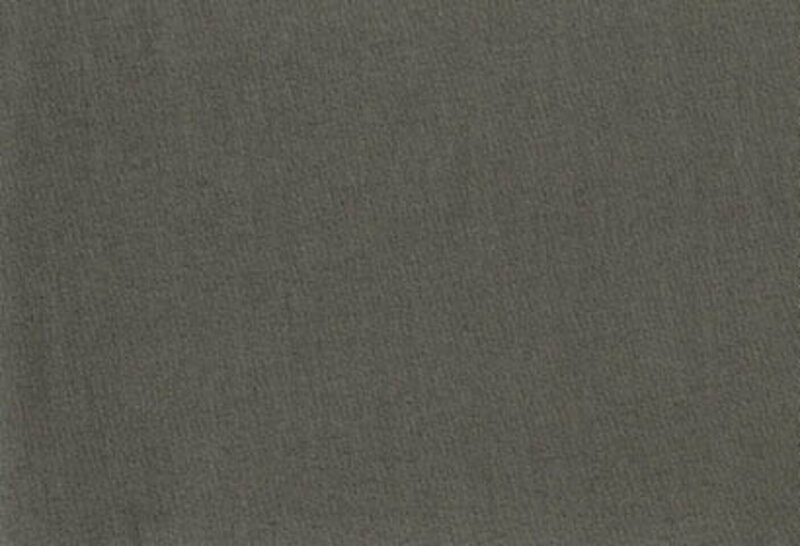 Open cassettes are available in a range of colours, with optional fabric insert. 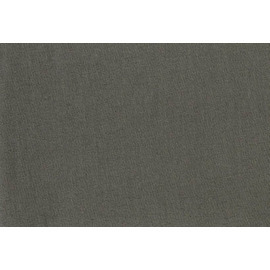 It is shown below in a satin finish. Open cassettes by Louvolite are a stylish finishing touch to any roller blind, partly concealing the brackets, mechanism and roller tube. Open Cassettes are available in a range of colours shown below. You may wish to customise the colour of the roller blind fixing brackets to suit your chosen fabric or to co-ordinate with your room decor. 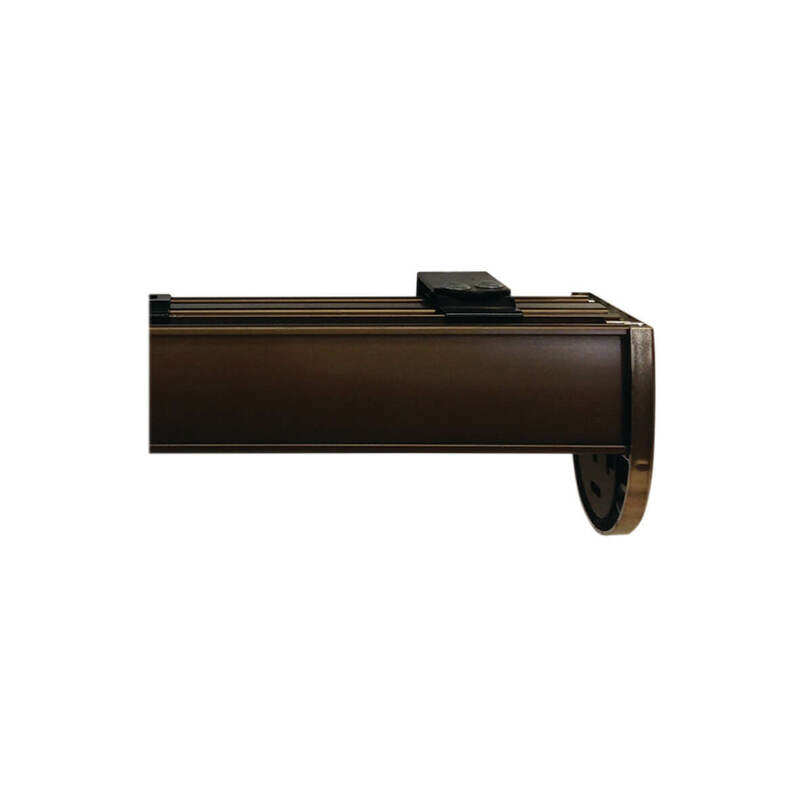 Bracket covers are available in white, beige, grey, black or brown. Window Side of the Roller Tube: This is standard and where the blind is face fixed around a recess minimises the gap between the fabric and the fixing surface. Room Side of the Roller Tube: This is also known as "reverse roll". This is a good option for where blinds are being installed within a recess which is not very deep and there is window furniture (such as window handles) protruding into the space allowed. 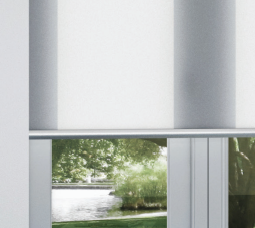 The bottom bar provides a finishing touch to the bottom of the fabric of a roller blind. We have a number of fantastic options. 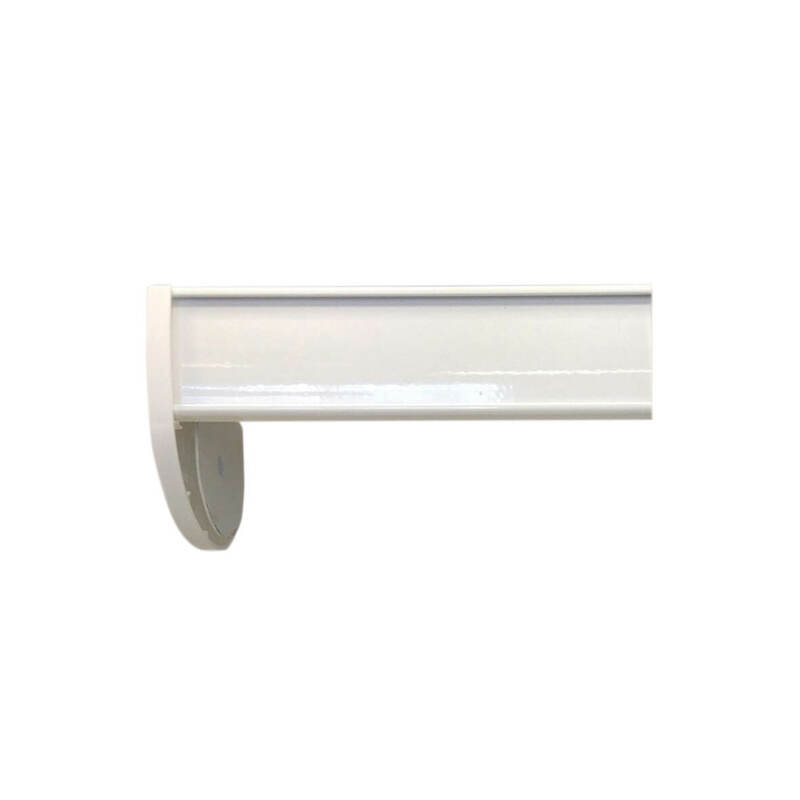 White Round Aluminium Hem Bar (above): A 23mm diameter aluminium bottom bar in white is provided. The fabric is securely attached to the hem bar, which is left exposed. 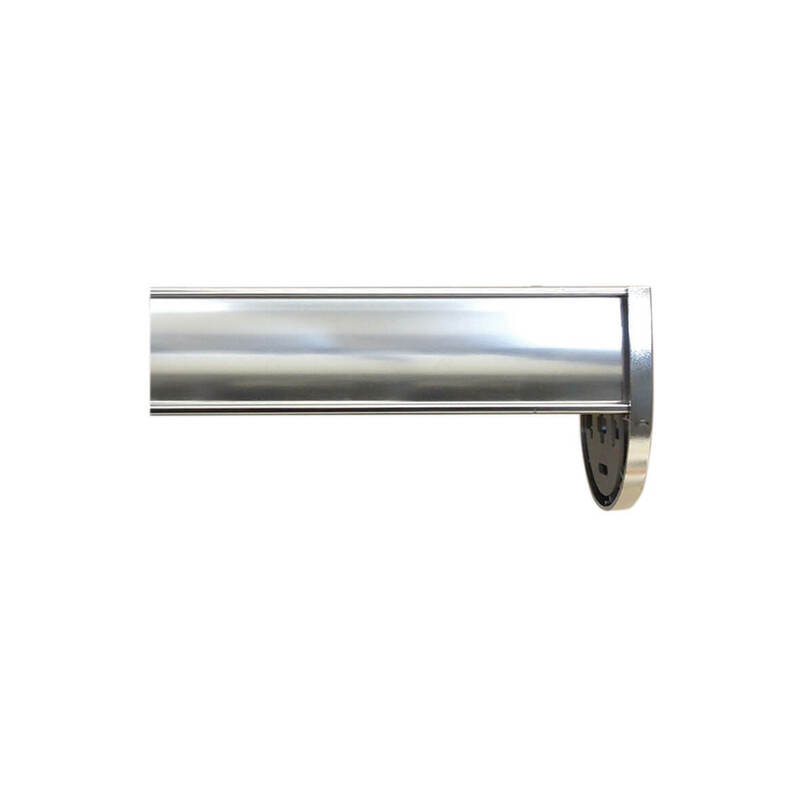 Silver Round Aluminium Hem Bar: A 23mm diameter aluminium bottom bar in brushed silver is provided. The fabric is securely attached to the hem bar, which is left exposed. Exposed Wooden Hem Bar: A luxury finishing touch for your roller blind. 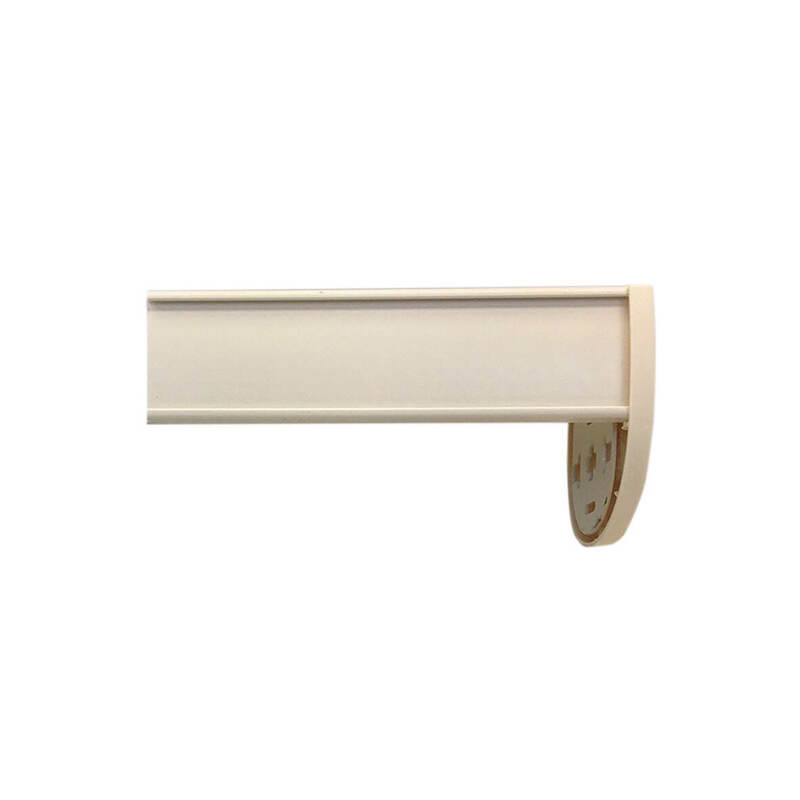 Wooden hem bars are available in a range of warming wood colours and painted. Your motor can be positioned at either the left hand or the right hand of the blind. You may wish to consider the accessibility of your motor when making this decision as when replacing or re-charging batteries, you will need easy access to the motor end of the blind to remove and replace the battery tube. Single Use Battery Holder inc. Batteries: Holder Including 8 AA single use batteries. Batteries are Alkaline. NiMH batteries can also be used. 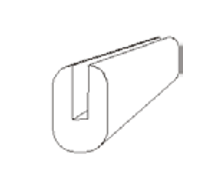 The holder is a white tube which is 432mm in length. 21mm diameter. It comes comes with 254mm cable, plus mounting clips. Rechargable Battery Holder inc. 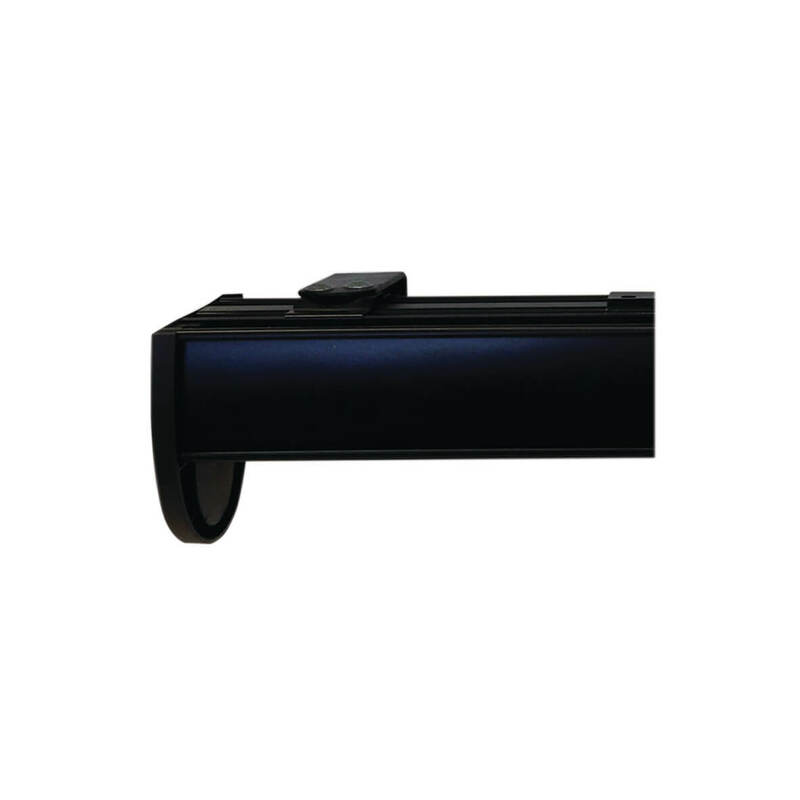 Batteries: Holder including 10 AA Lithium Rechargeable batteries. The holder is a tube which is 532mm in length. 21mm diameter. It comes with a 254mm cable, plus mounting clips. Batteries can be charged directly from the Somfy charger without unloading the batteries from the tube. 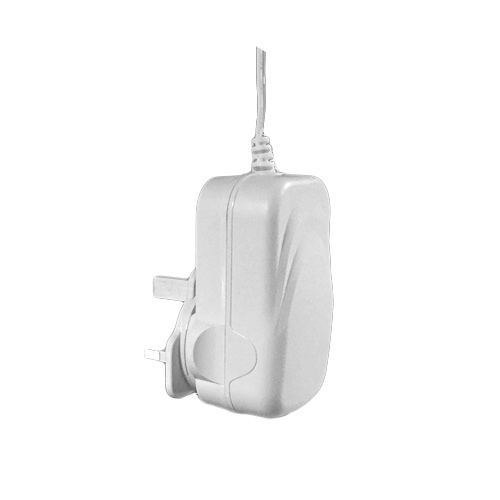 Plug in Power Supply: If you have a 3 pin plug socket near to your window, this plug in power supply connects directly to the battery cable socket of your motor. It comes with 3m of cable. 1 Channel 'Situo' Wall Switch / Handset: A single channel transmitter with a detatchable flat rear casing. 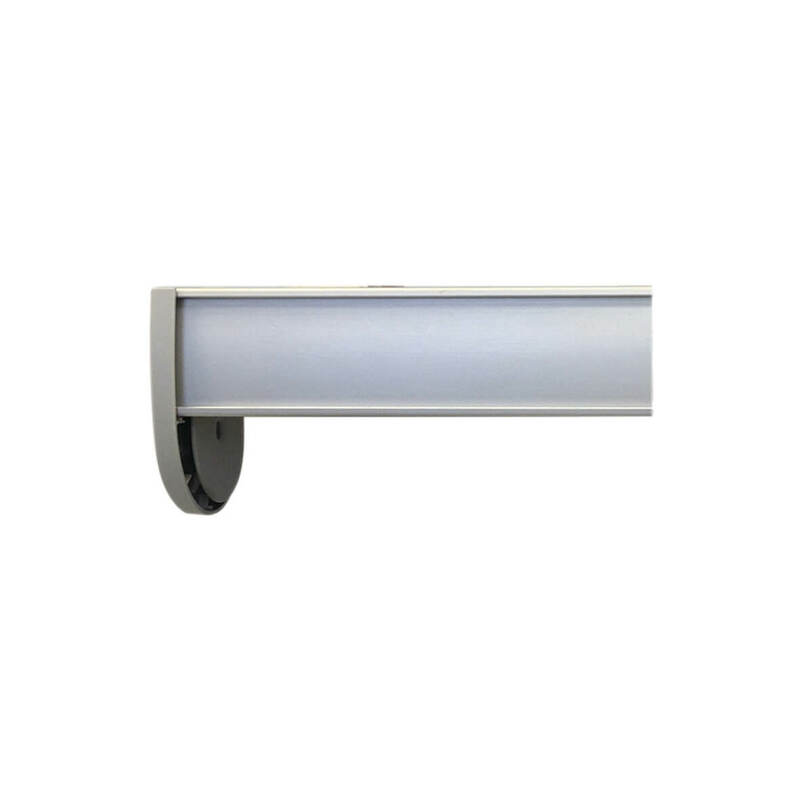 Remove the rear casing to mount this to your wall, and the unit simple snaps into place as a permanent wall switch. If you prefer not to wall mount the unit, it can just as effectively be used as a handset. 1 Channel 'Telis 1' Handset: A handset with a single channel. Smoove Wireless Wall Switch: A square wireless wall switch with integrated frame, single channel. 4 Channel 'Telis 4' Handset: A handset with 4 channels. 6 Channel 'Telis 6 Chronis' Handset / Timer: A handset with 6 channels and an integrated programmable timer with digital interface. 16 Channel 'Telis 16' Handset: A handset with 16 channels and a digital interface. Each channel can control a single blind or more than one blind. So you may not need to purchase a controller with each blind. Where this is the case, then select 'No Remote Control'. All handset sold via our website are from the PURE range meaning they are off white with grey trim. Each handset / wall switch has an UP, DOWN and MY button. As part of the programming process, you will set upper and lower limits and an optional favourite 'MY' position. Press the UP or DOWN buttons to take the blind straight to its limit. The MY button can be used to take the blind to the favourite position, or to stop the blind mid-travel. When a SOMFY motor is selected, you have a range of options for 'smart home' control. Connexoon App Control: Low cost app control of blinds and curtain rails. Control blinds from your mobile phone, tablet or PC with Somfy's Connexoon Blind Control System. Plugs into your home router to allow home control by Mobile/Tablet App and Web Interface. Controls any Somfy Radio (RTS) device (blinds, curtain rails, gates, plugs, garage doors and more). Controls Phillips Hue Lighting. Schedule Timed Events. TaHoMa Smart Home with Alexa Link: Plugs into your home router to allow home control by Mobile/Tablet App and Web Interface. Controls any Somfy Radio (RTS) device (blinds, curtain rails, gates, plugs, garage doors and more). Controls Phillips Hue Lighting, I/O devices. Schedule Events and set up "What If" scenarios. Voice activation using Amazon Alexa devices. Configure events in TaHoMa based on triggers from the "Internet of Things" using IFTTT. Dry Contact Transmitter (1 Channel): The Somfy Dry Contact RTS Transmitter is used to control blinds (and other Somfy RTS enabled devices) from any home or building control system or switch that is capable of outputting dry contact signals (a.k.a. volt free contacts). It is a single channel device which translates dry contact out put into Somfy RTS (Radio) signal in order to control a single blind or a single group of blinds. It's a great low cost way of controlling RTS enabled blinds from a control system when multi-channel (independent) control of multiple blinds is not required. RS485 RTS Transmitter (16 Channel): The Somfy RS485 RTS Transmitter is used to control blinds (and other Somfy RTS enabled devices) from any home or building control system or switch that is capable of outputting RS485 control signals (or RS232 if an adaptor is used). It is a 16 channel device which translates RS485 out put into Somfy RTS (Radio) signal in order to control a 16 individual blinds or 16 groups of blinds. It's a great way of controlling RTS enabled products (blinds, curtain rails, gates, plugs, garage doors and more) from a Smart-home system. As it controls wirelessly, it is particularly useful where wired control cabling has not been implemented. In situations where no power has been implemented for blinds, it can also be used because Somfy have a great range of battery operated motors. RS485 RTS Transmitter + Setting Tool: This option includes the 'RS485 RTS Transmitter' plus a RS485 demo kit, which is used to configure the transmitter. The 'RS485 demo kit' is a programming tool and can be re-used on future projects, if you are a smart homes custom installer. Of course, under normal circumstances you will only require one of the above units per property. So if you have already added one to your order, or already have one installed at home, then simply select 'No Smart Home'. No Smart Home: Select this if you ONLY want to control your blinds from a handset. Or if you already have a Louvolite Home Hub. - A mobile phone or tablet app. - By voice from an Amazon Alexa device, such as the Echo or Dot. - By voice using Google Home. - Control4 home automation system. - A strong WIFI signal (3 bars or more) in the location where you wish to locate your hub. - 2.4 GHz WIFI (IEEE 802 11b/g/n) not 5 GHz. - WIFI security should be set to WPA-PSK or WPA2-PSK. - Smart phone or tablet running iOS 8 or higher, or Android 5.0 (Lollipop) or higher. Please note: You will normally only require one home hub per order, so if you are ordering multiple blinds, please ensure you only add the home hub to one blind. SOMFY Junior MOTOR + HANDSET + BATTERIES only £60! - Includes Motor, 10AA Single Use Batteries, Battery Holder AND Situo Handset. Standard MOTOR + HANDSET + BATTERIES only £120! Somfy Junior Motor is a NEW quiet battery operated motor especially designed for windows up to (1450x1450mm Maximum). Upgrade to Rechargeable Batteries Available. Open Cassette - in a variety of colours. Power: They can be powered by disposable and rechargeable batteries, plug in power supplies of Solar Panel. The video instructions above show installation of a roller blind incorporating a Louvolite open cassette, which is an optional finishing touch for our battery operated remote control blinds. 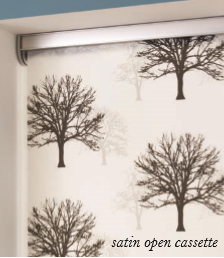 Child Safe By Design - Motorised Operation: Battery Powered Roller Blinds can be operated using an integrated motor. We call this ‘Child Safe by design’ as there are no looped cords or chains required to operate the blind.